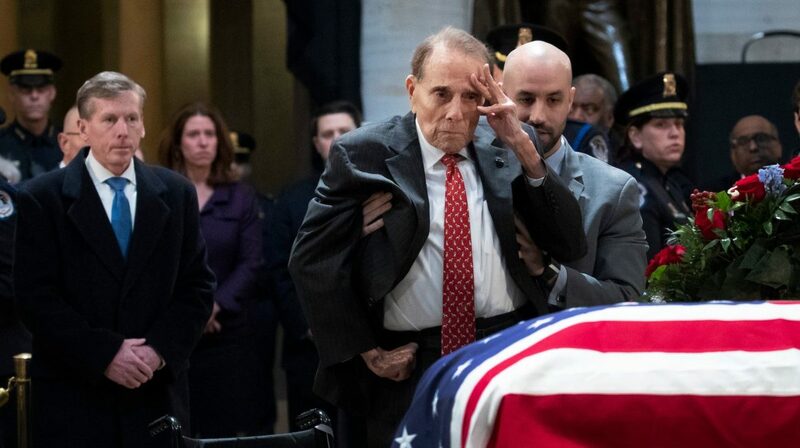 Watching Bob Dole, at the age of 95 years, being helped to his feet from his wheelchair to give President George H. W. Bush one final salute was an incredibly moving moment. He paid his final respects at President Bush’s funeral. Not to be lost in this is the fact that he was able to physically be there in the Capitol Rotunda. This moment was made possible by the Americans with Disabilities Act. 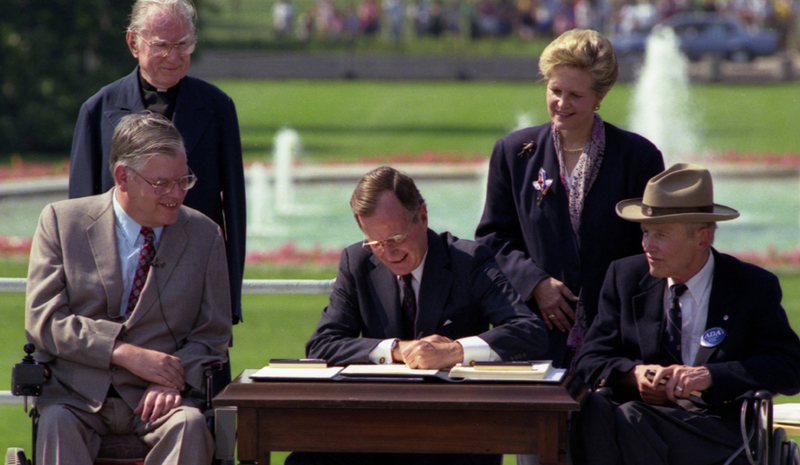 If George HW Bush had not signed the ADA, Bob Dole would not have been able to roll into the Capitol to pay his respects. She is so right! Now almost thirty years later we can be guilty of taking accessibility for granted if we aren’t careful. Interestingly enough there is one institution that was granted exemption from the ADA. Do you know what institution that was? Religious institutions are exempt from the ADA. That means that religious institutions do not have to be handicapped accessible and many of them are not. Now is not to argue the reasons why this exemption was given. Rather we should consider what it communicates to the disability community. When someone who lives with a disability musters up enough courage to try out their local church, mosque, or synagogue and they find that there are no handicapped parking spaces, wheelchair ramps, handicapped accessible bathroom stalls, accessible seating, adaptive equipment, or you fill in the blank what do you think is communicated to them? In my heart, I want to believe that all religious institutions want to be welcoming to ALL PEOPLE. I want to believe that all religious leaders have the best intentions. However, many religious leaders never get the chance to extend their welcome because their campus has already spoken and made a powerful first impression. Their campus that may not be ADA compliant has already told their first-time guest the following messages. These are all very harsh messages. Messages that, I would like to believe, no religious leader would ever utter. Messages that can easily be avoided if religious leaders are willing to take a step back and see their campus with a new set of eyes. Remember you never get a second chance to make a first impression. We have created a resource to help you see your campus in a new and fresh way. This resource will walk you through your campus all the way from the parking lot to your worship center, restrooms, and more. First, it will help you to take an unbiased inventory then it will help set you up to take some easy action steps. Once completed your campus will communicate new messages. Remember it is one thing to say that ALL people are welcome, and it is another thing to show it. Allow your campus to make a great first impression. Actions speak louder than words. Download our Church Campus Accessibility Checklist today! 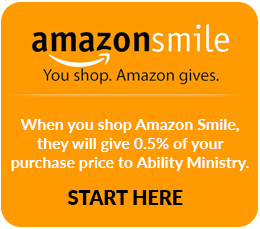 It is Ryan’s passion to equip and empower churches, organizations, and individuals to reach their disability communities for Jesus. Ryan, Director of Program Development, comes to Ability Ministry with 15+ years of ministry experience. He previously worked at First Christian Church in Canton, Ohio as their full-time Disability Pastor. He also worked as a Church Consultant for Key Ministry. Micah 6:8 and Proverbs 31:8 best describe Ryan’s commitment to life and ministry.